HaySparkle: MAC Simpsons Collection 'Autumn/Fall 2014' | Announced! 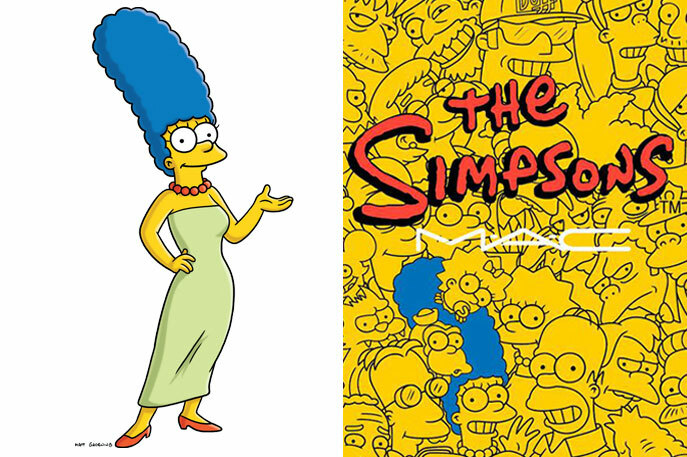 MAC Simpsons Collection 'Autumn/Fall 2014' | Announced! MAC have really been going for it this year in terms of collaborations, firstly we saw them announce the Disney Maleficent Collection which is due for release instore very soon but is available online now, then we heard about the Lorde Lipstick/Eyeliner duo and now we have an extremely exciting launch in September to look forward too in the shape of The Simpsons!! Yup that's right, I did say The Simpsons!! To celebrate the 25th Anniversary of the famous Simpsons, MAC have decided to dedicate a limited edition colour collection with every ones favourite blue-haired, behived beauty in mind, MARGE!! Their aren't any full details on the collections contents as of yet, but I have a feeling we are going to see an array of highly pigmented eye shadows and lipsticks in The Simpsons and Marge's trademark bright colours, such as blues, yellows, reds, greens and even white! I really hope they bring out a mascara as well, to help us achieve that fanned out four-lash look that Marge has going on he he. I'm so excited for this collection and I can only imagine the packaging is going to be pretty impressive too, eeekk I cant wait!! What are your thought's of the MAC Simpsons Collection beaut's?? I'd love to know!! Really excited as well! I'm hoping they bring out an electric blue mascara. That would be amazing. Excited to see this collection when it's released! I'm so excited!! I really hope I manage to pick something up from this collection!